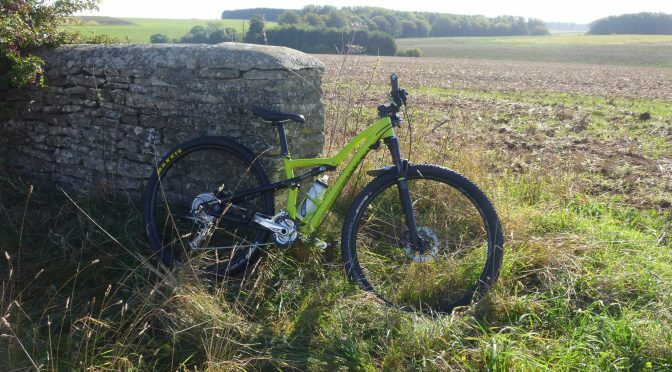 Debbie, from MB Swindon, would like to invite you to an informal social ride at the Pedalabikeaway trail centre, taking in the family friendly and non technical Green graded trail. We will meet outside the centres café at 9.45 for a 10am depart. We have invited many other Ladies mountain bike groups to join us to create an easy going pre Christmas ride suitable for all fitness levels and riding abilities. It will be at a casual pace with the emphasis most definitely on social and chat. On returning to the café it is hoped that we will have mince pies and mulled wine to end our event. The afternoon will be up to individuals, feel free to ride the blue and red trails, repeat the family green trail or maybe just chat over a coffee. None of the trails will be officially guided and therefore it is suggested that you ride to a level you are comfortable with and that suit your abilities. We hope you will meet some like minded riders and enjoy all the Forest of Dean trails have to offer. Dress code: Tinsel, fairy light, and a club jersey if you have one. After last weekend’s snow the family cycle trail still has obstacles across it, so the plan for the day will need to be changed. 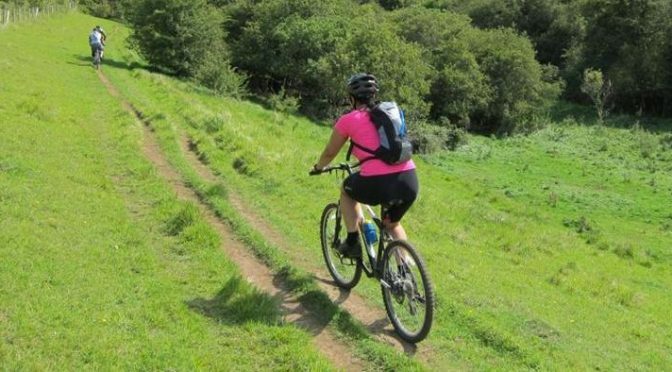 This trail traverses the north side of the Afan Valley on singletrack, promising great views of the valley and coastline. It offers a wide range of climbs and descents. You can also expect boardwalks, berms, large rocks, medium steps, cambers and water crossings. Some of the steep-sided slopes can feel exposed. It will be worth layering up. There is an option of doing Blue Scar trail after a spot of lunch in the afternoon – daylight hours & weather permitting. The ride will follow a mixture of blue and red marked trails in Swinley Forest, with some off-piste routes around Crowthorne Woods. There might be a climb or two but Swinley is relatively flat and there are no big hills (OK, maybe one). It will be a mixture of man-made trail centre-type riding along with more natural rooty, narrow, twisty singletrack on the off-piste parts. Crowthorne can get quite muddy if it rained a lot in the time leading to the ride. Riders of all abilities are welcome to join. There will be a cake and coffee stop at the Cafe afterwards, but please feel free to bring own drinks and snacks. Meet in front of the Look Out Centre. We’ll start slightly earlier at 9.30 parking and trails can get really busy at the weekends. Parking is £2 for 4 hrs or £4 for a day. Bike wash is available for £1 at Bike Hub. Toilets and cafe will be open from 10.00. I drove up to Badbury Clump really looking forward to this ride. Despite the fact that I had ridden it 4 previous times to recce a workable route it was still fun to show the ladies a new ride that they may not have been familiar with. Andrea had already beaten me to the venue, having driven all the way from Bristol, and was quickly followed by a stream of cars. We numbered 8 at this point which was wonderful and so was the weather. After the usual group photo and a short briefing about the first section of the ride we set off. I say we numbered 8, we actually became 9 but not until we reached the Great Coxwell Tithe Barn, where we met Sharon who lived locally. The descent to the village was fun but the up part to meet us didn’t have the same appeal early in the morning so Sharon took the opportunity to video us all arriving. We crossed the A420 and set off on the quieter lanes until we reached the first sandy bridleways. This took us for some distance running parallel to the main road but no hint of the noise, the varied surfaces took us through farm barns, open fields and trails and farm drives all rolling gently downhill. We finally reached another road to cross, not too busy, and entered through the stone pillared gateway of a country manor house. The drive was still a bridleway and edged by several very attractive cottages complete with roses around the doors. The drive ran into a section of single track, narrow and nettle bordered. The inevitable stings and apologies on my part and we continued into a long stretch of grass trail along side newly harvested fields, vast open skies surrounded us and the sun continued to shine. We reached Buckland Warren which is a mixed broadleaf and pine forest and dissected by numerous footpaths. It was here we saw a Muntjac standing his ground and holding our gaze in the middle of the trail before slipping away into the shrubbery. We made a figure of 8 around this area crossing the A420 another 2 times and passing along a wider tree lined bridleway through Buckland village. There is a rather nice pub here but we were too early for its Sunday opening. We entered ‘The Warren’ once more but on the opposite side and made our way through the softer low lying ground after the previous weeks rain. In winter this area is ankle deep in mud so the inch of slippery mud was not too bad. At the end and with a small section of repeated trail we exited the woods and stopped for our picnic lunch at the edge of a nearly deserted golf course. The sun continued to shine as we settled down on the grass to eat and chat. The pit stop finished, we retraced our route back to the Tithe Barn where several of us went to have a look inside. Some of the other ladies started to tackle the road climb back up towards the Badbury Clump car park. After we had admired the very beautifully preserved and enormous Tithe Barn, we set off to join them and regrouped at the top. A small section of road and the perimeter of a Maize field brought us back to the cars and the welcome sight of the ice cream van for some. Homemade cakes were despatched with more chat before we all headed home. Many thanks to the wonderful ladies, Andrea, Hazel, Kerry, Sarah, Sharon B, Sharon Y, Jen, and Amanda for joining me and a special thanks to Sarah for bringing up the rear and seeing us all home . Debbie Davies will be leading this new ride around the byways and Bridleways of Bibury and surrounding area . We will ride through open fields , laid farm tracks , ancient trails and a couple of Cotswold villages with classic honey coloured cottages . We will finish with a cafe stop and of course ,as befitting any ladies ride , cake. Honorary lady Kristian is leading this ride in the countryside around Castle Combe, famous for its race track and a filming location for Stardust, Wolfman and War Horse. The 17 mile route takes in bridleways, tracks and at least one river crossing.